I find just one thing really hard to give up even when I am attempting to eat clean, which is in line with the most predictable new year’s resolutions ever—ice cream. Everybody seems to want to shed a few pounds for the new year, but blame it on my sweet tooth that this resolution never seems to be ticked off my list for good. If there’s one thing I can’t give up, it’s unfortunately desserts. Then again, perhaps I don’t have to do that after all. 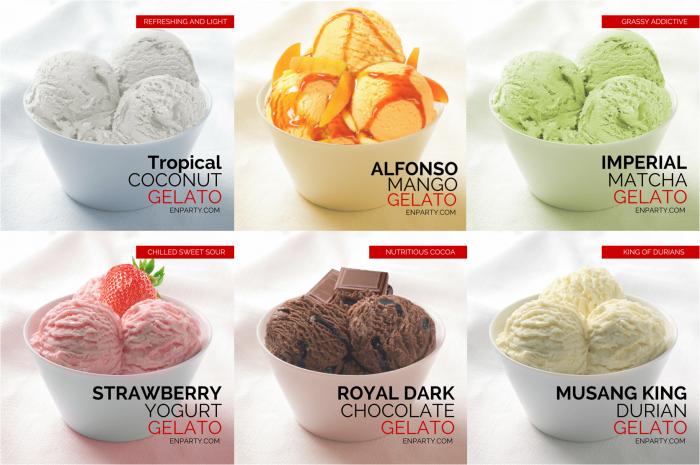 Christmas is a wonderful time to enjoy some decadent treats with family members and now, there’s no hassle, for one Malaysian startup delivers gelato ice cream (‘gelato’ is by the way the Italian word for ‘ice cream’ but is typically milkier, smoother, and denser than the normal ice cream) right to your doorstep. EnParty is an online web portal dedicated to deliver fresh and delicious food directly to their customer’s home or office doorstep. Their current core products include local fruits, durians and of course, gelato ice cream. Though this startup’s name may sound a little odd at first, Stephen Chew, one of the three co-founders had an explanation for it. “From our logo, E stands for summation and N stands for everything. We hope EN will stands for summation of everything that is fresh and tasty. Hence, the summation of every fresh and tasty food to bring to a party would be EnParty,” he shared. 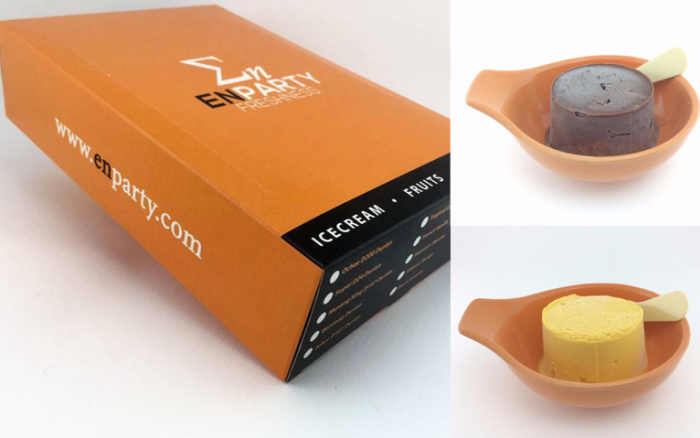 EnParty differentiates themselves from other gelato ice cream available in our food haven nation, by utilising their own ingredients and materials in order to make their gelato ice cream. For instance, one of their bestsellers, the Premium Musang King gelato ice cream is made using the durian flesh from their very own farm located in Bentong, Pahang. As of now, the gelato flavours available are Alfonso Mango, French Vanilla, Premium Musang King Durian, Royal Dark Chocolate, Strawberry Yogurt, Super D24 Durian, Tropical Coconut, and Imperial Matcha. Being a fairly new startup, having only been incepted mid-2015, they already have garnered close to 15,000 fans on Facebook, and conducted more than 1,400 online gelato sales. Following this, their plans of expansion would include more gelato flavours. “We are developing some local fruits flavour gelato ice cream, such as swirling cempedak, caramel gula melaka, passion dragon fruit, and more. All these flavours are still under a testing phase as we would like them to taste great when launched,” Stephen told Vulcan Post. They are also planning to expand their online gelato delivery to other states of Malaysia, as they are currently catering to the Klang Valley crowd only. “Currently we are experimenting different courier services to help us deliver the gelato ice cream to the customers hand in its best condition. Besides that we are trying on our side to lower the risk of gelato ice cream melting on the way to its destination,” Stephen said on behalf of the team. How it all began for EnParty. EnParty’s team of 3 are made up of Stephen Chow, who is in charge of the daily operations and expansion of the company; Fox Tan, who handles the company’s finance; and Wong ZiYi, who looks after the EnParty website updates. 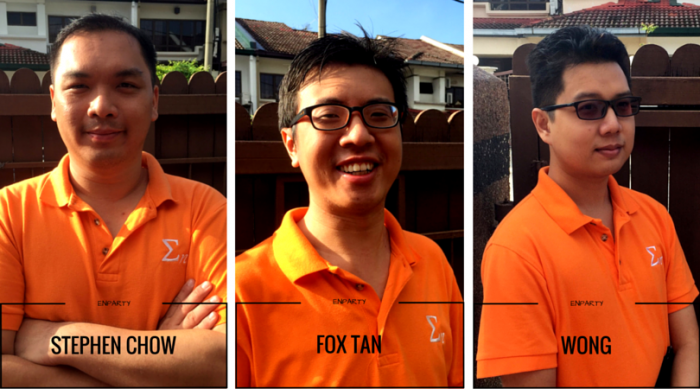 They are not new to the startup biz as they do have experience between the three of them. For instance, Fox co-founded two IT startups in construction and finance, and ZiYi ran his own café, a food-related startup as well as owned a software house before co-founding EnParty. 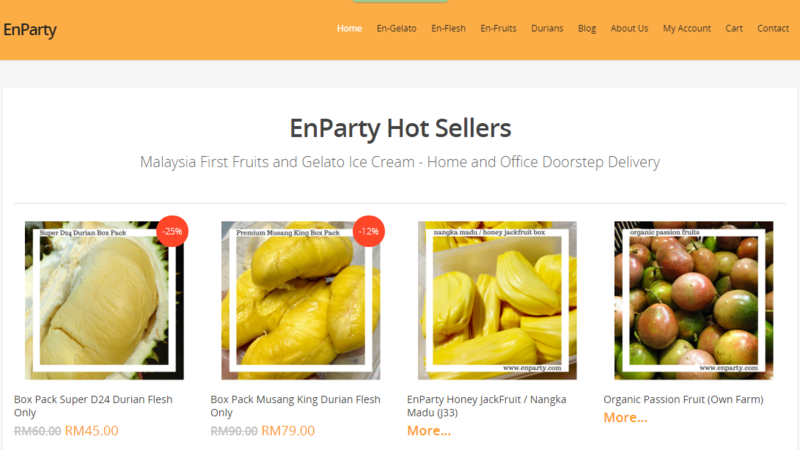 Stephen who himself was once a business analyst believed that EnParty could be the answer to Malaysia’s call for a gelato ice cream home and office doorstep delivery service. Hence, he quit his job at IBM in order to start up a café and fruit business of his own. He told Vulcan Post that he is optimistic about EnParty’s growth in the multi-billion dollar F&B industry, especially with the inclusion of fresh produce. As such, they have been able to engage a multitude of clients for the past half a year and even fulfilled a hope that they had for their gelato ice cream. Remember the famous liner by M&M which states, “melts in your mouth, not in your hands”? That is exactly what EnParty has been able to promise their customers thus far. 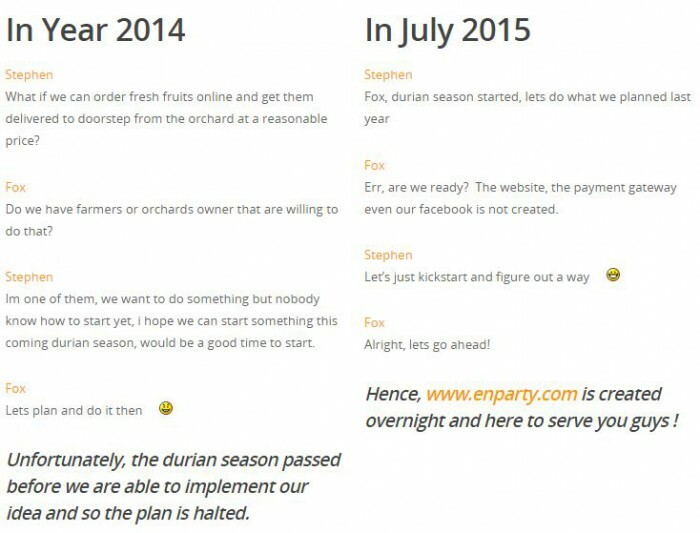 With their EnParty venture, the team has been able to put Malaysian fresh fruits in the forefront and given us an excuse to indulge in locally farmed produce, and healthier desserts for Christmas and even well into 2016.